The Indian Law Institute (ILI) was founded in 1956 primarily with the objective of promoting and conducting legal research. ILI (Indian Law institute) will conducts the ILICAT 2019 for the candidates who want to get an admission in various law courses. Both online and offline application form for ILICAT 2019 will be available for all eligible candidates, they can apply through online and offline mode. Candidates who want to purse their career in Masters, Postgraduate Diploma and and Ph.D Courses in law. For online mode, candidates have to fill the application form through official website of institute i.e., www.ili.ac.in and for offline mode, candidates have to purchase the application form from the counter of institute. Before filling the application form candidates will have to check all the details like eligibility criteria, application fees etc., carefully. For all relevant information regarding ‘ ILICAT 2019’ such as important dates, eligibility criteria, application process, exam pattern etc., the candidates can refer to the information on this page or the official website. Note: The release of the number of merit lists will depend on the number of qualified candidates and the available number of seats for the concerned courses and the Institute. Physical Fitness – The candidates must be physically and mentally fit and in a good state and should not have any physical defect which can interfere with their outdoor studies. The application form for ILICAT 2019 will be available online as well as offline for the candidates. For online mode, candidates will have to fill the application form from official website of the institute i.e., www.ili.ac.in and for offline mode, candidates will have to purchase the application form from the counter of the institute.The candidates are requested to complete the application process either online or offline before the last date for the submission of the application form. The admit card for ILICAT 2019 will be available at official website of institute i.e., www.ili.ac.in. Candidates who fill the application form carefully will only got the admit card. The admit card can be obtained through both online and offline modes. The candidates who apply the application form through online mode will have to download the admit card from the official website of the institute and the candidates who applied through offline mode will get the admit card through email. Candidates will have to bring their admit card at the time of examination. Without the admit card they were not allowed for the examination. The written test for the concerned course will be of two hours. 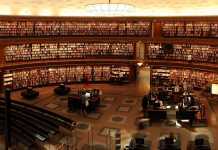 It will consist of the two papers which will be held at the Indian Law Institute. After the admission test, the candidates will have to submit the presentation on the proposed topic on the date notified by the Institute. Part 1 – This part will contain the 40 objective questions of 40 marks with multiple choices. The questions will be related to English Language and General Knowledge. Each correct answer will carry 1 mark whereas ¼ marks will be deducted for each wrong answer. Part 2 – It will consist of 100 objective-type questions of 100 marks with multiple answer options. 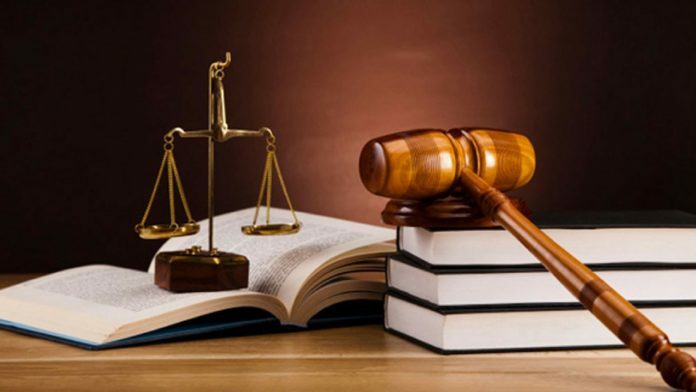 The questions will be asked from the Jurisprudence, Constitutional Law, IPC, Public International Law, Commercial Law (Contract and Specific Relief Act, Partnership and Sale of Goods Act), Law of Torts, Law of Limitation and Environmental Law. Each correct answer will carry 1 mark and each incorrect answer will carry ¼ marks. Part 3 – It will contain 4 subjective-type questions of 40 marks. The answer should not exceed 250 words and it will be taken to test the legal writing skills of the candidates. Part 4 – This part will be of Viva Voce which will be held for the shortlisted candidates of the admission test. It will be of 20 marks. 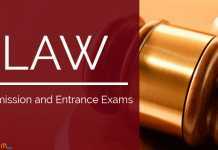 Indian Law Institute will announced the ILICAT 2019 Result on the official website as well as on the notice board of Indian Law Institute (ILI). The merit lists will be prepared contained the list of the qualified candidates with their marks and rank scored in the examination. The final selection will be based on the consolidated marks and overall rank obtained by the candidates in all the stages of the selection process. Candidates admission to the applied course will be based on the marks obtained by them and as per the seats available for the concerned courses in the Institute. There will be a written test for the candidates who will for the concerned course. The candidates who will be shortlisted after the written test will be called for the further stages of Presentation of Research Proposal and Interview. The candidates belonging to the exempted category will be shortlisted on the basis of the Research plan submitted by them along with the application form. Note – The qualified candidates of UGC NET/ JRF, SLET, and M. Phil will not have to appear for the admission test. Candidates will be shortlisted based on the marks obtained by them in the All India Admission Test and shall be called for viva-voice to be conducted at the Indian Law Institute, New Delhi. The list will be notified on the website of the Institute. No separate communication would be sent. Final merit list will be prepared based on the marks obtained by the candidates in All India Admission Test, and viva-voice out of the maximum of 200 marks. Merit list will be drawn for LL.M. (01 Yr.) Programme. Viva-voice is an integral part of the selection process. If a candidate called for viva-voce does not appear for the same, he/she will not be considered as eligible for admission. The candidates will get admission to the concerned course will be made on merit prepared on basis of the marks obtained by them in the qualifying examination. The law graduates will be given the 5% weightage.